Wanting to add a touch of romance to the house for Valentine's Day, I decided to start in the foyer. I have been searching for lamps to give the area a new look since last fall. I wasn't in a big hurry with Christmas decorating taking over, so I just kept an eye out for anything I thought would work. When I was shopping with my sister in Atlanta I found the pair that was just what I wanted (Jim says I never met a lamp I didn't like). Thanks to Vanna's blog advice I hurried them to checkout and bought them before some other shopper nabbed them. I knew I wanted more of a minimalist look after all the Christmas bling, that was the easy part. But with the cloudy, rainy days of January I also wanted a pop of color. I didn't want to buy anything else, so I just shopped around the house until I rediscovered a pretty container I wasn't using. (I had bought this from an estate sale in Atlanta several years ago.) 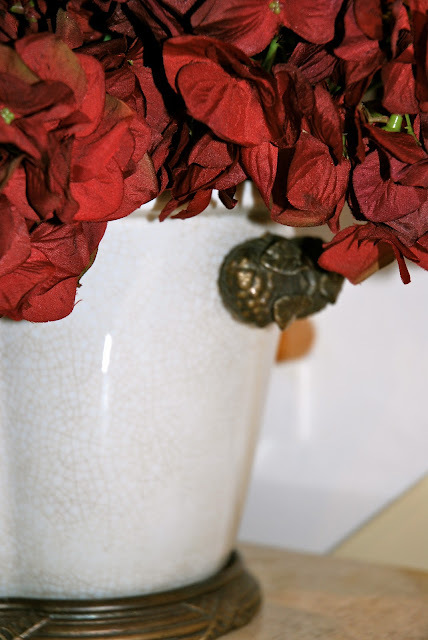 Then I found, stored away, that pop of color I craved -- red silk hydrangeas! This works for dreary January days AND Valentine's Day. I bought those flowers several years ago on clearance from Restoration Hardware (I love that place!). I added one of my favorite pillows to the windsor chair, a needlepoint purchased for Christmas decorating years ago at the Ralph Lauren outlet. So now I have a new look for the foyer that will work until spring or until I have the urge to change it up again. I decided to display a new set of Marie Antoinette-esque plates my sister gave me for Christmas. I decided the hutch in the back foyer would be the perfect place to enjoy them. I pulled a few other stored pieces, Spode Blue and blue platter from NS Gustin. A Furnival platter is a perfect color match with the Gustin platter. Do you change your foyer often? I would love to hear your ideas. Merci FiFi, always happy when you stop by. Your foyer looks so beautiful and romantic. Nicely done! Just lovely! I have one of the two lamps you have! I just love the lines on it. Thanx for stopping by earlier! Newest follower as well. 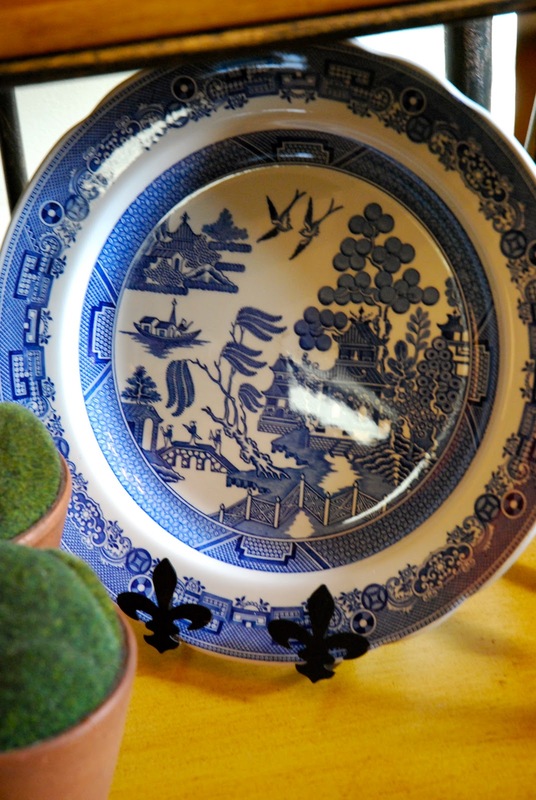 your china display looks really nice, lucky you receiving such a love plate present. Those lamps are so different from the norm, really sets off your other items too. Thank you for visiting and for your nice comments. I always love visits from my fellow blogerettes. The 'queenie' dishes are a hoot. Love them. I also like the blue and white display you've put together. 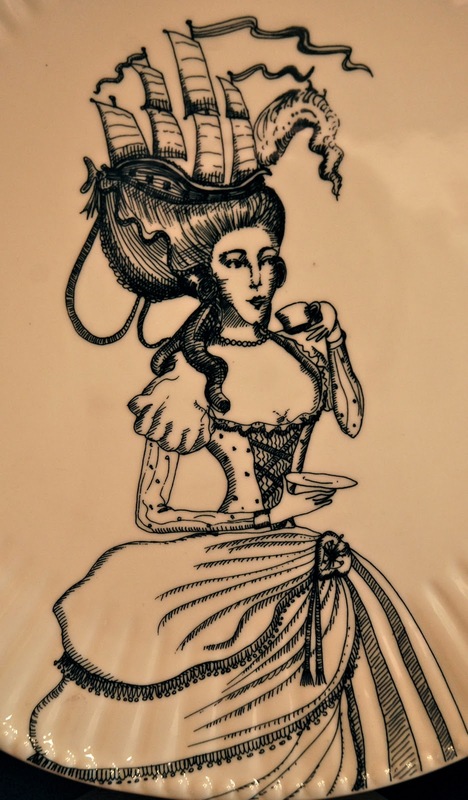 The Marie Antoinette Plates are devine. Your foyer is gorgeous, the red is perfect for January. I love your lamps they are a perfect choice. Gorgeous lamps! Fabulous find! I love the red hydrangeas - they're gorgeous - I love Restoration Hardware - I used to visit the one at the Mall of Georgia when I lived nearby - fantastic store - those ladies are beautiful - love their expressions! Thank you for sharing with Home and Garden Thursday! Your romantic foyer is absolutely gorgeous! 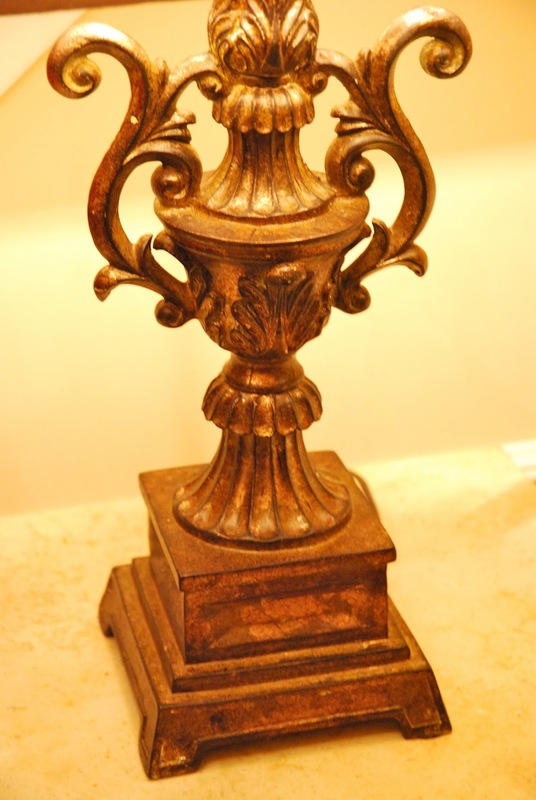 Your lamps are PERFECT for your entry. It looks so warm and welcoming and sooo beautiful. You do indeed have a lovely home and you know just how to make it prettier. Very talented, dear Emily. You should get a big hug after all the "romancing" you did in your home. Everything looks so beautiful...love those red hydrangeas! 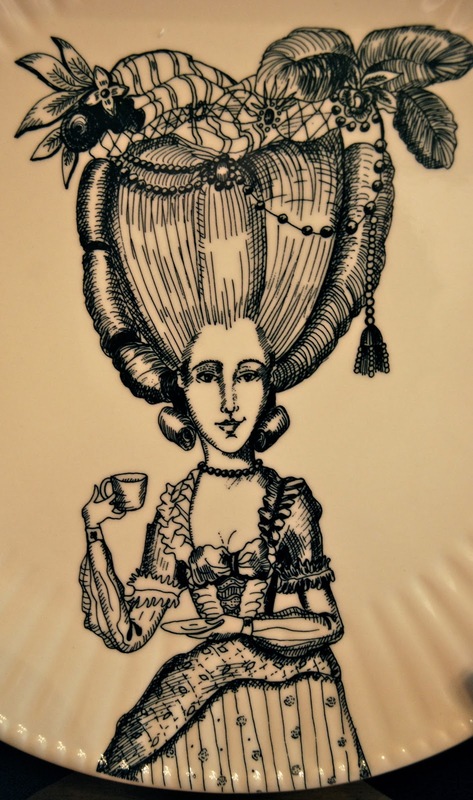 The Marie Antoinette plates are fabulous...so is that platter. Oh, wow...you had me at the thumbnail picture! 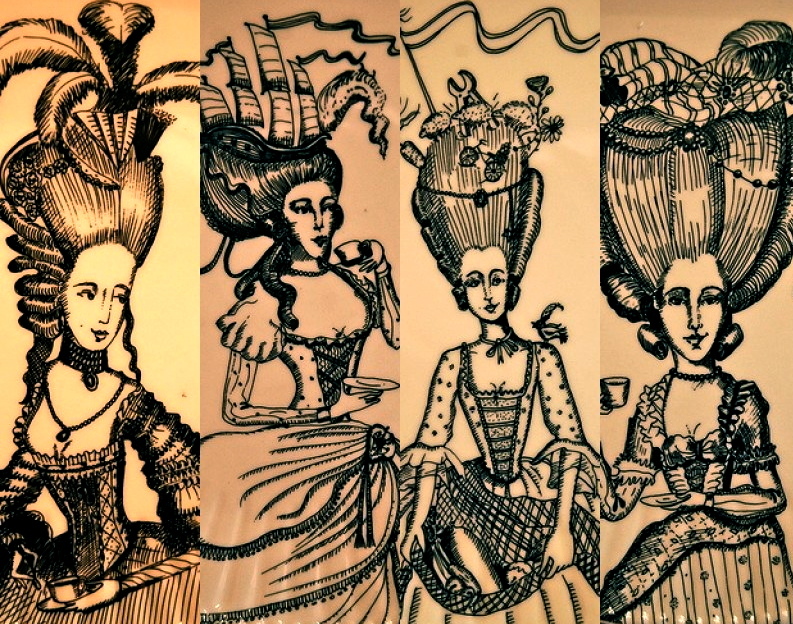 LOVE those Marie Antoinette plates!!! Those are SO cool!!!!!!! I, too, enjoy a lamp or two or fifty, so I can really appreciate your enthusiasm for them! The shades on these are impeccable! (You MUST learn to wear steel-toed boots and brass knuckles when you shop. Other shoppers will have a new found respect for your presence and leave the stuff you want alone!) :-) Way to go!!!!! Oh Emily your foyer looks gorgeous! I don't even have a foyer so I'm a little envy green already. Love love those lamps!...If I helped to enable you in any small way...my work is done! Lol! Emily, your foyer is so warm and welcoming!! You always have so many "pretties"!! I enjoy my visits here!!! Emily, This is all so romantic and inspiring! Have a wonderful weekend! Well, love this post. I am a huge Marie fan! What a beautiful post. I lovd it all but especcial your blue spode. Gorgeous. 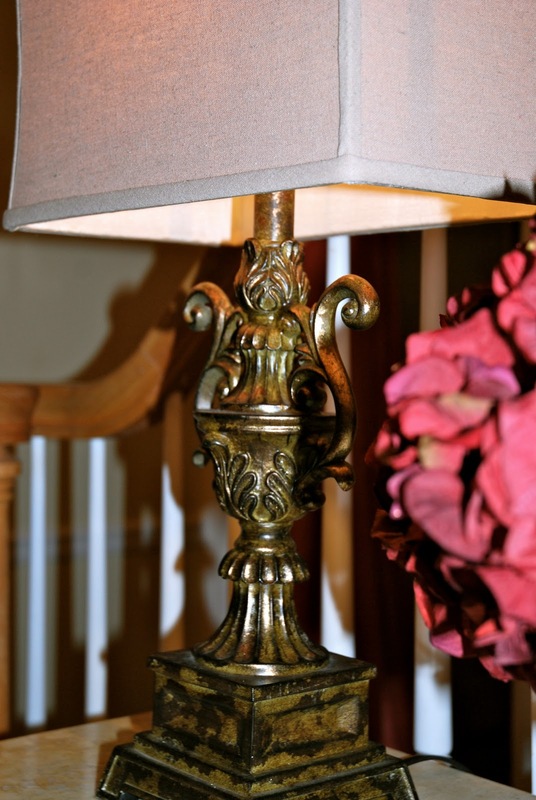 Your lamps and foyer are beautiful! Warm and cozy! 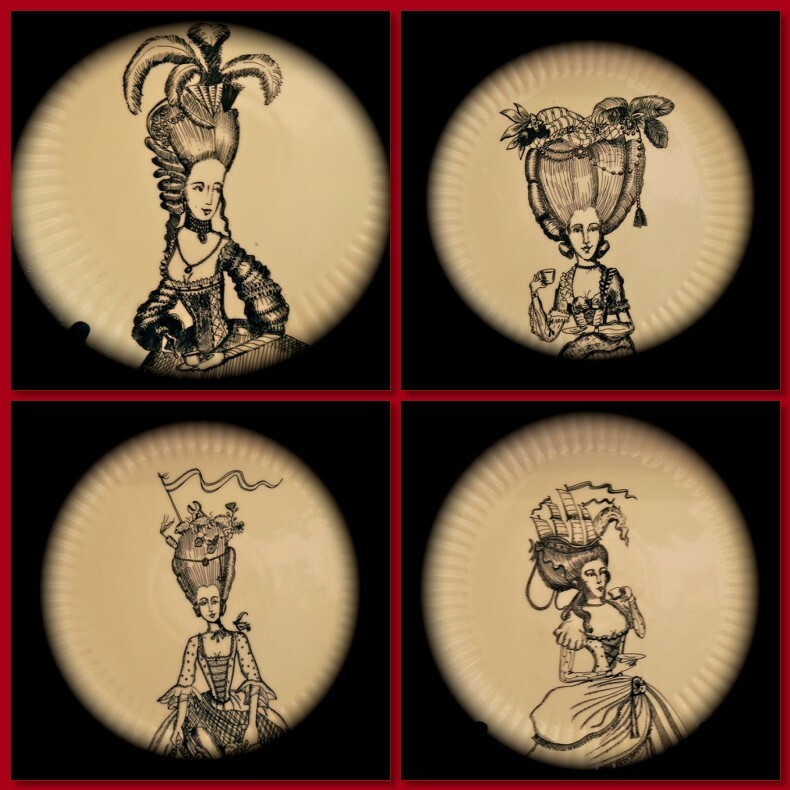 Love your new plates....they are so unusual! 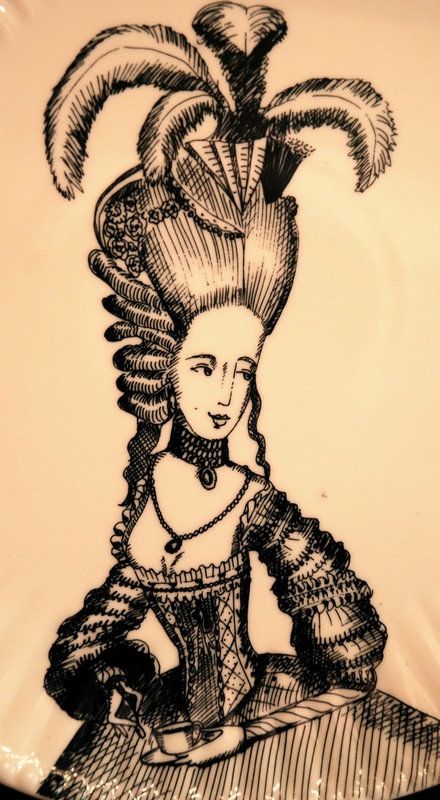 I covet those dishes - don't turn your back on me, Emily, or they will be gone quick as a wink! I love your foyer and the Marie Antoinette plates are a lovely addition. Thank you for sharing. Great new look to your foyer, the lamps are very striking. 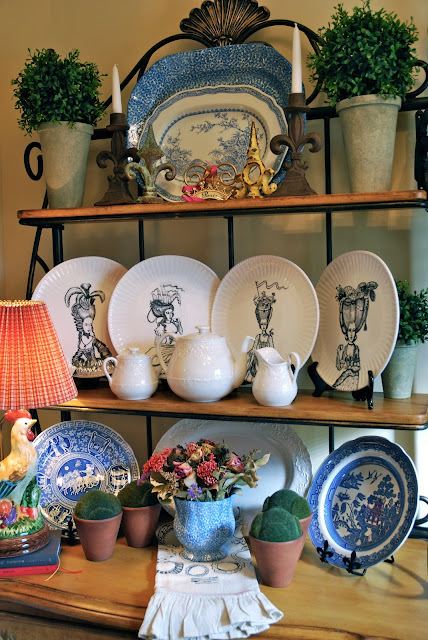 How whimsical the Marie Antoinette plates are, they look wonderful on your bakers rack alongside the blue and white. The lamps are gorgeous. 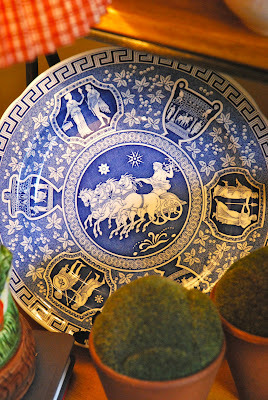 Love the Marie plates ... made me smile! Your foyer is so welcoming. I love everything, but those Marie Antoinette plates make me swoon. What a fantastic collection! Your home is so Beautiful!! I also love everything and your collection is Gorgeous. thanks so much for your sweet comments on my 2011 Valentine's Day table. Im putting a new one on today. I hope you and your family have a wonderful day. Oh my, everything is just gorgeous! You always share such beauty! Gorgeous home you have!! I would love to wander through a Ralph Lauren Outlet Shop! Have a nice day. Gorgeous! I'm heading to Paris on Tuesday (for business) and your post put me in the mood! I love those plates! Your lamps are very pretty too on that table. Thank you for joining me at Home Sweet Home! Love the needlepoint cushion and the Spode Blue! Beautiful foyer, loved the wonderful rich color. Your lamps are pure eye candy! 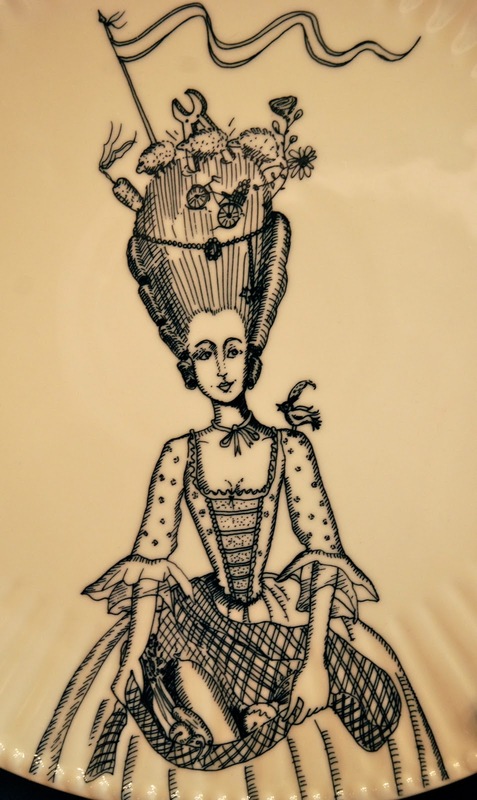 The Marie ANtoinette plates are a hoot!